O.E. SIZE — Don't automatically default to a #10. 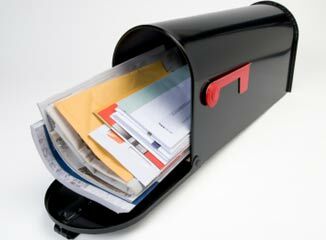 Though by far the most popular size for business mailing, consider something larger. The sheer size demands that the reader has to physically shift differently through his stack of mail to sort and review. ADDRESSING ELEMENT — Consider a label instead of ink jet on OE or letter. A label suggests an added exercise on your part and enforces the impression of something of value inside. STAMP IT — Consider a stamp over indicia. Your audience probably knows a pre-canceled stamp when they see one…but unlike indicia, their eyes will still go there. Use this fact by putting a copy line close by.